Home / Flip Flops / Havaianas / Make / MYOH / MYOH 2010: Make Your Own Havaianas! MYOH 2010: Make Your Own Havaianas! 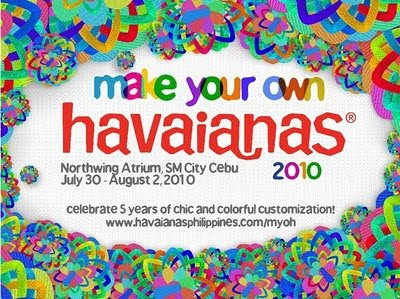 This year, Make Your Own Havaianas Turns 5! Make Your Own Havaianas Flip-Flops is a unique event where in one can unleash your Creativity and let your Imagination go wild. Havaianas, the world’s favorite flip flops brand, is celebrating its 5th year of offering Filipinos the chance to add personalized color and style to their lives—and their happy soles. Havaianas, the first flip flops brand to offer pair customization in the country, holds its 5th annual Make Your Own Havaianas event at SM City Cebu Northwing Atrium from July 30 to August 2, 2010. In honor of this landmark anniversary, Havaianas aims to make this fashion event bigger, better and brighter than ever. 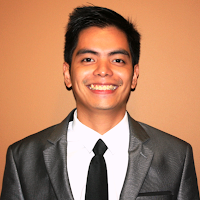 Make Your Own Havaianas at SM Cebu Northwing will be awesome! Don't wait for another fashion event, instead, join this anticipated Make Your Own Havaianas attended and waited by all Fashionistas and Stylistas. So head over to SM City Cebu Northwing Atrium from July 30-August 2, 2010 and Make Your Own Havaianas.